Throughout the month of February the Charleston County Public Library celebrates Black History Month with programs for all ages. These programs prompt us to remember important people, events, achievements and contributions by African Americans to the arts, literature, sports and pop culture. Whether you're into history, learning about the Gullah culture, tales from the high seas, or games and activities, there's something for everyone. Thursday, Feb. 14 at 10:30 a.m.
Come learn about the history of rice here in the Lowcountry with our Traveling Trunk! The Inland Rice Fields Traveling Trunk Program is an interactive, hands-on educational tool geared towards elementary and middle school students. The program includes replica artifacts and historical items relating to18th century inland rice fields in the Lowcountry. Tuesday, Feb. 5 at 10:30 a.m. and Thursday, Feb. 21 at 3:30 p.m.
To celebrate Black History Month, hear stories from the diaries of Malachi Moon, an African American sailor who traveled the world. Friday, Feb. 22 from 6:00 – 7:30 p.m. Celebrate Black History Month through contemporary music, visual art, politics, food and trivia. Pictures of notable Americans are hidden through the library. Find and match them with their work to earn a prize! Test your knowledge on black history facts not found in school books. Saturday, Feb. 2 from 1:00 – 3:00 p.m.
Filmed in Paris, jazz musician Eddie Cook (Poitier) falls in love with Connie Lampson (Diahann Carroll). Features Louie Armstrong. Also starring Paul Newman and Joanne Woodward. Saturday, Feb. 2 from 3:00 – 5:00 p.m.
Widowed Dr. Matt Younger (Poitier) and his daughter arrive in London and an unexpected, new romance develops for Catherine (Ester Anderson) who’s hiding a secret. Saturday, Feb. 16 from 1:00 – 3:00 p.m.
Mark Thackeray (Poitier) transforms the lives of a group of rambunctious white high school students from the slums of London's East End. Saturday, Feb. 16 from 3:00 – 5:00 p.m.
Ivy Moore (Abbey Lincoln) an African-American maid decides to go to college. The Austin family thinks they can keep her from by setting her up with a company executive (Poitier). Discover a new read by chance! Grab a title from our reading jar and get a sneak peek of a book written by an African American author. Thursday, Feb. 21 from 6:30-7:30 p.m. Celebrate African American Read-In day as we discuss “An American Marriage” by Tayari Jones. Thursday, Feb. 21 at 10:30 a.m.
Join us for a special storytime where we highlight African American authors and illustrators. We will also have books available to read all day long. Saturday, Feb. 23 at 12:30 p.m. Match notable African-Americans with their achievements. There are several different categories to try! Saturday, Feb. 9 at 12:30 p.m.
42 tells the life story of Jackie Robinson and his history-making signing with the Brooklyn Dodgers. Rated PG 13; 128 minutes. Thursday, Feb. 14 at 3:45 p.m.
Wednesday, Feb. 6, 2019 at 3:45 p.m.
Wednesday, Feb. 13, 2019 at 3:45 p.m.
Wednesday, February 20, 2019 at 3:45 p.m.
Wednesday, February 27, 2019 at 3:45 p.m.
An African-American family struggles with poverty, racism, and inner conflict as they strive for a better way of life. Based on the play by Lorraine Hansberry. Saturday, Feb. 9 from 10 a.m. - 2 p.m.
Come to the library and read stories and do a craft featuring notable Black Americans. Wednesday, Feb. 6 at 6 p.m.
During the Anglo-Cherokee War of 1759-1761, an enslaved man named Abraham won his freedom from the government of South Carolina by performing a series of deeds that not only displayed remarkable physical endurance and bravery, but also saved many lives. Join CCPL's historian, Dr. Nic Butler, for an introduction to the dramatic, real-life story of Abraham, one of the many forgotten black heroes of early South Carolina. Celebrate Black History Month by taking part in this special combined February event, focusing on literature and the culinary arts! In honor of our March 6th, Foodways event featuring famed Gullah Chef Charlotte Jenkins, February’s cookbook club theme is “Gullah Cuisine” and “Soul Food” inspired dishes. Bring a dish to share with the group! This event coincides with National African American Read-In and we will also be reading our favorite African American books and poems written by African American authors. Bring your favorite texts to share and read. This essay is open to all Charleston area students in grades 6-12. One winner will be chosen from middle and high school to receive a prize package. Entries must be in by February 28, 2019. Winners will be contacted on March 12, 2019. For contest details contact Patrice Smith at 843-766-2546. Learn about notable Americans as you find their hidden pictures in the Children’s area. Can you find them all? Tuesday, February 26 at 6 p.m.
Join us to see one of the most renowned a capella and percussion gospel groups in the southeast! Formed in 1996 by Charleston native, Lynnette White, the group has performed across the nation as well as internationally. The Gullah choral group Plantation Singers will perform their lively renditions of traditional spirituals rooted in Gullah spirituals and the sacred music of the South Carolina Lowcountry. Learn about famous African Americans as you complete a scavenger hunt in the library. Thursdays, Feb. 7, 14, 21 & 28 at 10:30 a.m.
All storytimes throughout February will focus on African American authors and illustrators. Saturdays, Feb. 9 & 23 from 10 a.m. to 5 p.m.
2/9: The Wiz, rated G, 133 min. 2/23: The Princess and the Frog, rated G, 97 min. Celebrate African American History month by completing our StoryWalk™ book trail. Tuesday, Feb. 5 from 11 a.m.-12:30 p.m.
Thursday, Feb. 7, 14, 21 and 28 at 2 p.m. 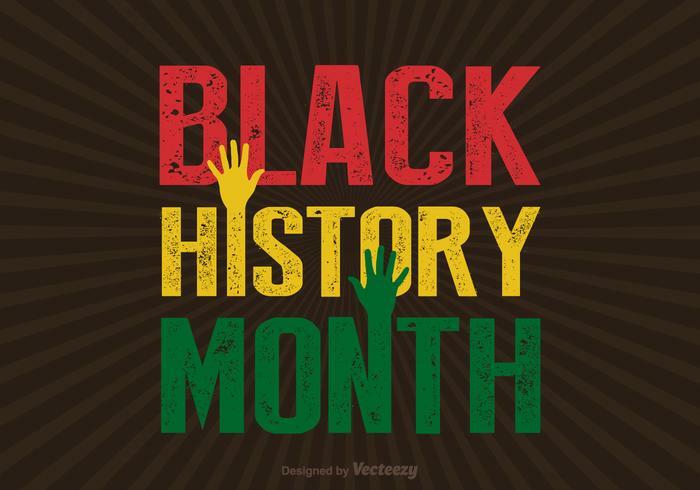 Celebrate African American History Month. Enjoy a themed STEAM activity; all ages and abilities are welcome. Celebrate African American History month during a fun, musical storytime! Wednesday, Feb. 27 at 3 p.m.
Join us in our Makerspace and celebrate an African American inventor by creating something awesome! People don't like what they don't understand. This exhibit is a collaboration with the Charleston Activist Network (CAN) in loving memory of African American activists who fought for what they believe in. The First Monday Gallery Night opening reception will be held on February 4 from 6-7 p.m. Join kolpeace before the reception at 5 p.m. in the Auditorium for a conversation with CAN. This will be broadcast live on the CAN podcast. Stop by the Teen Lounge and test your knowledge with our Black History month trivia questions. Receive a sweet treat for correct answers. Are you interested in African American history and culture? Want to learn more about Charleston’s forthcoming International African American Museum and get involved with this important project? Join IAAM’s President/CEO, Michael Boulware Moore for a fireside chat and public engagement series to provide community members an intimate introduction to the IAAM team and real-time insight into the museum’s vision, plans and development. Wednesday, Feb. 20 from 6 - 7:30 p.m.
Thursday, Feb. 21 at 3:30 p.m. Celebrate Black History Month with a special edition of Green Thumbs. Join the Tri-County Clemson Master Gardeners to learn about George Washington Carver and the invention of peanuts. See Charleston from a different aspect. Hear stories and interesting snippets of Charleston's African American history and heritage, from local historian Ruth M. Miller and Alec Cooley. Copies of their new book will be available for purchase. Monday, Feb. 25 at 6 p.m.
Charleston's poet laureate Marcus Amaker will premiere several new poems and talk about his writing process in a Q&A after the reading. Joining him on stage will be local students, reading original work. Attendees will have a chance to purchase Marcus' vinyl, books and CDs. Saturday, Feb. 2 at 11:00 a.m. Learn about the African American inventor: Garret Morgan and enjoy games and a snack. Saturday, Feb. 16 at 11 a.m.
Saturday, Feb. 9 at 11 a.m.
Make your own paper strip Kente cloth! Celebrate African American authors and illustrators! Charleston Time Machine: "The Charleston"
Saturday, Feb. 23 at 11:00 a.m. Put on your dancing shoes and go back to the days when the dance, the Charleston, was born. Wednesday, Feb. 13 from 6:00-7:30 p.m.
Saturday, Feb. 16 from 1:00-3:00 p.m.
Toni Carrier, director of the Center for Family History at the International African American Museum, will give an informative talk on genealogy resources for African American families in the Lowcountry. After the presentation, National Park Service Chief of Interpretation Paula Ogden-Muse will discuss resources available at Fort Sumter National Monument and the Charles Pinckney National Historic Site. Marianne Cawley, manager of the South Carolina Room at the Charleston County Library, will discuss resources available for African American genealogy research in the library. Thursday, Feb. 21 from 10:30-11:30 a.m.
Join us for a special storytime featuring books by African American authors. Read or check out a book by an African American author, and receive a sweet treat. Tuesday, Feb. 26 at 11 a.m. Celebrate Black History Month with a presentation from the Gullah Geechee Cultural Heritage Corridor Commission and create a Philip Simmons ironwork themed craft. Saturday, Feb. 23, 11:00 a.m. – 12:30 p.m.
Join the Barbados and the Carolinas Legacy Foundation founder Rhoda Green for a talk on the history of Barbadian planters and the Africans they brought to the Carolinas. The talk will include the direct historical ties to the Goose Creek area. Hosted in conjunction with the Gullah Geechee Cultural Heritage Corridor Commission. Tuesday, Feb. 19 at 10:30 a.m.
Join us for a special storytime spotlighting African American Authors for children. Thursday, Feb. 21 at 3:00 p.m.
Join us for a special family storytime spotlighting compelling African American authors who write across age groups. Drop in and read for 30 minutes in honor of Black History Month and the contributions that African-Americans have made to this nation. Thursday, Feb. 21 at 11:00 a.m.
Join author and scholar, Professor Damon Fordham, who specializes in U.S. History and African-American Studies at The Citadel for stories and a craft celebrating black history. Thursday, Feb. 21 at 6:15 p.m. Hear from author and scholar, Professor Damon Fordham, who specializes in U.S. History and African-American Studies and teaches at The Citadel. Monday, Feb. 4 at 4 p.m.
Thursday, Feb. 21 at 4 p.m. Celebrate National African American Read-In, and listen to "Tar Beach" by Faith Ringgold. Family Storytime, Feb. 12 and 26 at 10:30 a.m.
Family Storytime, Feb. 21 at 10:30 a.m.
Family Storytime, Monday, Feb. 25 at 10:30 a.m.
Preschool Storytime Tuesday, Feb. 12 at 11:30 a.m.
Preschool Storytime: Thursday, Feb. 21 at 10:30 a.m.
Babygarten, Mondays, Feb. 4, 11, and 25 at 10:30 a.m.
Toddler Storytime, Monday, Feb. 11 at 10:30 a.m.
Preschool Storytime, Wednesday, Feb. 6 at 10:30 a.m.
Family Storytime, Tuesday, Feb. 19 at 10:30 a.m.